The year 2017 could mark an important turning point for institutional international arbitration. On 20 October 2016, the International Chamber of Commerce (“ICC”) adopted a list of important revisions to its Rules of Arbitration (“ICC Rules”). By the time this article is published, for example, new “Expedited Procedure Rules” will have come into effect on 1 March 2017. These revisions aim to improve the efficiency and transparency of ICC arbitration. Time will tell if they actually will. Through the years, a number of concerns have been raised by parties – individuals, businesses, states, and international organizations – adopting or considering adopting institutional arbitration as a means of resolving their international disputes. These concerns are numerous, yet three common threads are a general desire to make international arbitration more affordable, a wish for more efficient tribunals, and a call for a change in a culture that is often seen as opaque. At the heart of this debate, and fueling calls for change, are an increase in the length of hearings, a significant increase in the breadth and volume of document production, delays in obtaining awards, and the absence of an obligation on the part of certain institutions to provide reasons for institutional decisions that impact an arbitration. Such calls are not surprising since international arbitration was born of the desire to provide parties with a low-cost, effective and efficient alternative to litigation before the courts. One illustration of the problem has been a significant decline in the number of so-called small cases (i.e. claims involving amounts below US$ 1 million) administered by the ICC. The adoption and implementation of the Expedited Procedure is an attempt by the ICC to address these concerns and to ensure that ICC arbitration remains an attractive means of international dispute resolution notwithstanding the level of complexity of the case and the amount at stake. While some critics may argue that these changes long overdue, they should nevertheless be welcomed by users of international arbitration as well as by counsel and arbitrators. The Expedited Procedures Rules expressly confers very extensive powers on the arbitrator with regard to procedure. The first of these has obvious and broad ramifications. It has the potential to reduce the problems relating to the constitution of the tribunal including its fees, the number of objections raised, the question of the availability of its members, and the time needed to deliberate and agree on the award. On the other hand, it limits party autonomy in a way that has rarely been seen before. It deprives parties of the traditional ability to appoint one arbitrator each – an arbitrator who may, at least in their view, have a better understanding of their concerns – as members of a three-person tribunal, potentially impacting, some say, the legitimacy or integrity of the award itself. The second of these elements is also significant. Under the Expedited Procedure Rules, the case management conference has to take place at the latest 15 days after the transmission of the file to the arbitrator. The analysis and the drafting of the award will usually take about a month. If the arbitral tribunal has six months after the case management conference to render the award – which might include one month of deliberation and drafting – the remaining time does not leave much time for the process to unfold. Although in all cases the ICC Court may grant an extension if necessary, there will be a tremendous pressure on each participant to the arbitration process to get the work done within a short delay. “[t]he arbitral tribunal may, after consulting the parties, decide the dispute solely on the basis of the documents submitted by the parties, with no hearing and no examination of witnesses or experts”(para. 5). It is to be expected that these rules will give rise to claims of due process violation by unsatisfied parties. In addition to the innovations described above, it is to be noted that Article 23 of the ICC Rules which provides that the first task of a tribunal is to prepare, in collaboration with the parties, a document referred to as “Terms of References” – one of the hallmarks of ICC arbitration – will not apply to the Expedited Procedure. Furthermore, once the arbitral tribunal is constituted under the Expedited Procedure Rules, the parties will not be entitled to present new claims without authorization of the tribunal. Article 3 of Appendix VI of the ICC Rules sets up the elements that the arbitral tribunal could consider to decide whether a new claim should or should not be authorized, namely its nature, its cost implications, the stage of the arbitration, and any other relevant circumstances. Most importantly, the rules contained in the new Article 30 of the ICC Rules and in the Appendix VI will apply automatically if three conditions are met: (1) the arbitration agreement is concluded after 1 March 2017, (2) the amount in dispute is below US$ 2 million, and (3) the parties have not explicitly chosen to derogate from the expedited procedure. Going forward this means among other things that parties negotiating an arbitration agreement should consider seriously the possibility of “opting-out” where they feel that the Expedited Procedure is not ideally suited to the type of dispute envisaged. An example of an opting-out clause is available at the end of the revised ICC Rules. Such a clause should be drafted carefully keeping in mind that if it is not clear enough, the Expedited Procedure Rules will apply and the parties will be deemed to have agreed to them. In other words, problems might inadvertently arise where arbitration agreements contradict the provisions contained in the Expedited Rules. Without entirely opting-out, the parties could also potentially decide in advance to derogate to some sections of the Rules only, for example to have three arbitrators instead of a sole one. The ICC Court might however have the power to ignore such exemption if it finds that it violates the spirit of the Rules and the Appendix (see: Article 5 of Appendix VI of the ICC’s Rules). While these Expedited Procedure Rules will apply on an opt-out basis to all arbitration agreements satisfying the conditions mentioned above, the ICC Court retains the power to decide that the Expedited Procedure Rules should not apply in a particular case. The current Rules and explanatory Note to Parties do not indicate on what basis such a decision would be made. One may presume that a key factor will be the level of complexity of the case. This is based on the premise that the amount in dispute does not always – although often – reflect the level of complexity of a case. Following the same logic, parties to a dispute for which the amount in dispute is greater than US$ 2 million, should also consider, where appropriate, the possibility of “opting-in”. Indeed, nothing prevents parties from agreeing to use the Expedited Procedure. On the contrary, this should even be encouraged where the circumstances allow it. Finally, it is worth mentioning that the fees under the Expedited Procedures Rules, which include the administrative fees paid to the ICC and the fees due to the sole arbitrator, are 20% lower than the fees applicable to other ICC proceedings. Survey after survey shows that arbitration is the preferred disputed resolution mechanism for cross-border disputes. When it comes to decide between institutional arbitration and ad hoc arbitration, users more often than not choose the former. The ICC is itself the love-child of institutional arbitration. In 2016, the annual International Dispute Resolution Survey for Technology, Media and Telecoms Dispute showed that the ICC was the choice of 64% of the respondents. For EU based respondents, this number goes up to 74%. If these revisions to the ICC Rules have the intended effect, that is to reduce the time and cost of arbitrating these claims, they could confirm and increase the existing trend. The manner in which the Expedited Procedure Rules will be applied will be of significant importance considering the many applicable exceptions. This will determine whether or not the entry into force of these rules will be a turning point for the ICC or more like a stone thrown into a pond. These rules are available at http://www.iccwbo.org/Data/Documents/Business-Services/Dispute-Resolution-Services/Arbitration/Arbitration-Rules/ICC-Rules-of-Arbitration-2017-Revision/. See the ICC Statistics from 1999 to 2015 available at http://www.iccwbo.org/Products-and-Services/Arbitration-and-ADR/Arbitration/Introduction-to-ICC-Arbitration/Statistics/. Alexis Mourre, “Message from the President” (2016) 2 ICC Bull. 3, at 4. See Expedited Rules at Appendix VI, Art. 2(1)-(2). See id, Art. 3(3) and 4(1). See ICC Rules, Art. 30(1)-(3). See Expedited Rules at Appendix VI, Art. 1(4). See id, Art. 4(2) and Appendix III of the ICC Rules. The report from Queen Mary University of London and Pinsent Masons is available at http://www.arbitration.qmul.ac.uk/research/2016/. Mtre. 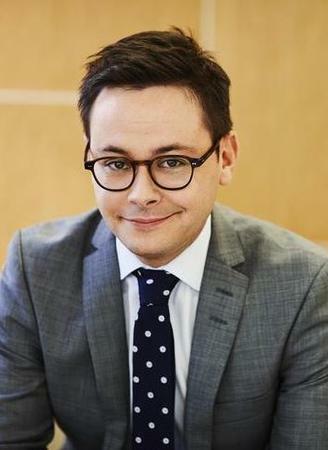 Jessy Héroux began his career as a law clerk to the Honourable François Doyon at the Québec Court of Appeal. He then practiced as a criminal defense lawyer in Québec City, specializing in white collar crime, appellate litigation and regulatory charges. From August 2015 to August 2016, he joined the Chambers of the Honorable Suzanne Côté at the Supreme Court of Canada. Mtre Heroux has a broad and diverse litigation practice. He advises and represents individuals and companies in complex commercial and contractual cases. On a regular basis, he intervenes in cases of professional liability, competition law, defamation, securities, disciplinary law, and in the context of investigations before regulatory authorities such as the Autorité des Marchés Financiers. 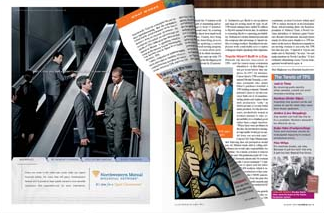 He also represents clients in business criminal law matters. Mtre. James A. 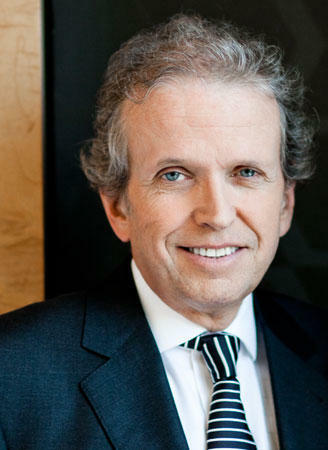 Woods, senior partner of the firm, graduated from the Faculty of Law of McGill University in 1974 where he received a BCL and LLB, standing first in the National Program. He also obtained a B.A. (HONS ECON) in 1970 from McGill University. Mr. Woods was awarded the MacDonald Travelling Scholarship in 1974 to study Comparative Law at the University d’Aix Marseille in France. He practises in litigation and arbitration and pleads at all levels of federal and provincial courts in Ontario and Québec including the Supreme Court of Canada. Named in 2016 “Litigator of the Year” by Le Monde Juridique and Lexpert® 2015 as one of the Leading 500 Lawyers in Canada – Montréal, Corporate and Commercial Litigation. Recognized by the Best Lawyers directory 2014 for his expertise in the fields of Bet-the-Company Litigation, Class Action Litigation, Corporate and Commercial Litigation, Director and Officer Liability, Legal Malpractice Law and Securities Law and Best Lawyer of the Year in 2012 for the "Bet-the-Company Litigation in Montréal." Is member of the Faculty of Law and lecturer in civil litigation at McGill University. Fellow of the ACTL, LCA, FDCC and CIA (London). Member of the panel of arbitrators of the AAA, of the CBA, QBA, LSUC, LSBC, LSA, LSEW, ABA, IBA, LCIA, AAJ, and CCAC. Called to the Bars of Québec, 1976, Ontario, 1979, Alberta and BC, 2006, England & Wales, 2007, Barreau Paris, 2013 and discerned Advocatus Emeritus by Québec Bar, 2013. Acted as attorney or arbitrator either as President or Member of Arbitration Tribunal in commercial and international arbitrations, either ad hoc or ICC. Search our index of leading international legal professionals providing services in a host of specialized practice areas.